The trench coat is a classic wardrobe staple, inevitably a part of any wintry fashion week street style scene. Despite being a trusty stand-by that can dress up even a basic denim-sweater-sneakers ensemble, it can come off as boring and even worse, redundant. 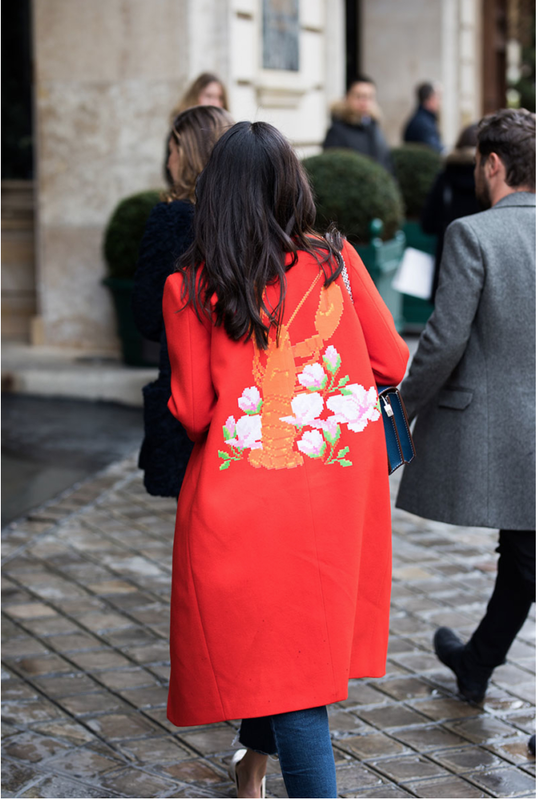 The belted trench coats of Paris Fashion Week’s street style scene, however, were anything but. With a stylized cinch as the waist, trench coats transcend the confines of outerwear to become gown-like. Undeniably elegant, this updated take on the trench adds an unexpected twist that makes outwear a statement instead of a hindrance. Wear black all you want, but there’s something to be said about the powerful punch of pink. As far as monochrome style goes, the pink on the streets of Paris felt the most relevant. An all-pink ensemble is an unapologetic ownership of femininity that leaves plenty of room for individual style with different textures, shapes, and shades. The pink power suit is definitely appealing in our era of #girlboss and feminist activism, while looser, less tailored pink bottoms could easily be extracted from a monochrome outfit to be worn with a band t-shirt and white sneakers. Although pink felt like the most expressive color of Paris, blue was everywhere—from Christian Dior’s runway to street style. Given that blue is such a rich neutral, it’s easier to play with risky pieces: a voluminous plaid coat, a leather midi skirt, a crossover between a pant suit and a sweat suit. Those who honed in on the blue memo didn’t hesitate to mix tints and prints, but there seemed to be a general consensus on navy as a way to bring the entire outfit into a more coherent ensemble. What was most interesting was seeing the separation between blue-toned pieces and denim, which we didn’t see in these hue-specific looks. The bomber jacket has been everywhere this past fall and winter, and we still saw it in Paris. But another, more inspiring outerwear trend took shape in quirky long coats that looked as cozy as they were eye-catching. We saw different textures, details, patterns, and colors, but each look was the same in being centered around the coat. This trend was made for those hectic days when comfortable pants and sturdy sneakers are desperately needed, but so is a touch of personal style.